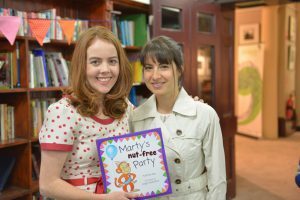 More than 60 adults and 40 children attended a nut-free party to launch Katrina Roe’s new children’s book at the NSW Writer’s Centre in Rozelle. Dr Elizabeth Pickford from RPA Allergy clinic addressed the crowd on the importance of making sure children with food allergies are not left out of social occasions. She said the best part of her job is working with families to find solutions that work for them. “We don’t want to use a cookie-cutter approach to managing allergies,” she said. Katrina Roe hopes her book will teach allergic children, their friends and families to negotiate the minefield that is living with a food allergy, especially at party time. 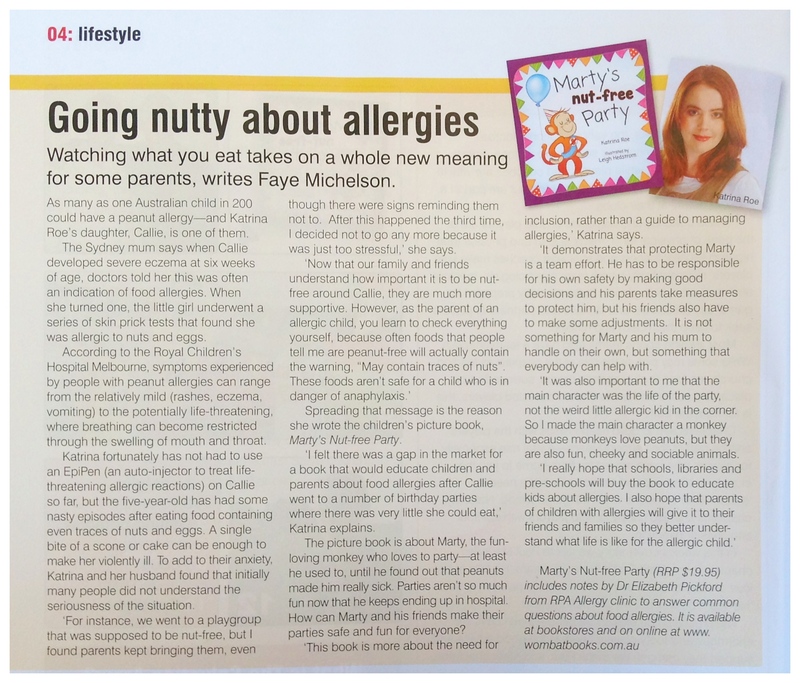 With one in ten children now suffering a food allergy, Marty’s Nut-Free Party is likely to be popular with children, schools, pre-schools and local libraries.